Providing you the best range of sanitary napkin incinerators and sanitary napkin vending machine (manual) with effective & timely delivery. Used Sanitary napkins are usually disposed off in dust bins or open surfaces which may give rise to various contagious diseases or when they are disposed off in toilets, they lead to block –up of sewage systems. To overcome this common problem, an easy to use Sanitary Napkin Incinerators. It is designed that scientifically destroys the used napkins without causing any harm to the environment. 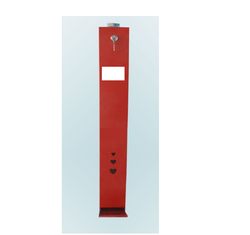 We are the leading supplier of Sanitary Napkin Vending Machine (Manual). The machine is designed to give optimum output and robustly constructed. Operation: Uni Coin(Rs.5/-X 1Coin –three variants). 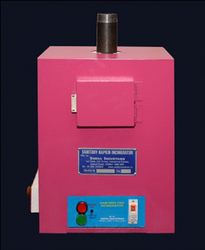 Looking for Sanitary Napkin Incinerators ?